In an era of carbon copies, I’m beyond grateful that Lance Stephenson can still exist and remind us of what once was. In Soccer in Sun and Shadow, Eduardo Galeano writes about how the “beautiful game” he loves has made a journey from “daring to fear.” The great prose artist is mourning a trend where all of the risk, improvisation and individuality had been beaten out of the sport by a strict uniformity and fealty to efficiency. Perhaps this increases the opportunities for victory, but it also turns what should be art into a paint-by-the-numbers process. It turns the hit-or-miss burger on the grill into what you can get at any Five Guys or Shake Shack. Delicious, no doubt, but always the same, and eventually what was wonderful creeps toward boredom. This is why I’ve made my own journey from hate to love regarding Indiana Pacers performance artist/shooting guard Lance Stephenson. I have many a predilection to dislike Mr. Stephenson. He plays exactly like the kind of person who, when they come to play ball, makes everyone groan. He over-dribbles, he overshoots, he over-isolates, and he’s annoying as all hell. He also plays for a team—the Indiana Pacers—that has made me grind my teeth for more than two decades. Yet Lance Stephenson is also a throwback: someone you can actually imagine showing up at your local court looking to hone his game or just get some run. He’s one of the few players today you can imagine as a character in Rick Telander’s Heaven is a Playground, the person who picked up every possible positive and negative habit that once made hoops the electric art known as the “city game” before it was gentrified and branded within an inch of its dress-coded life. He is a kind of basketball currently being hunted to extinction. (The fact that Stephenson retained this while also playing in the AAU makes it even better). It also speaks volumes that Lance Stephenson is an actual product of the New York City public school system, a graduate of Lincoln High School. NYC stars in the NBA used to be as common as short shorts, but now are rarer than a five-dollar ticket. Symbolic of this is Joakim Noah, who in 2014 became the first player from a New York City high school to make an All-Star team in over a decade. Of course, Noah, the son of an international tennis and music star and a fashion model, went to Poly Prep, an exclusive private school in Brooklyn. High schools allowed for players to get in where they fit in. The prep-to-pros pipeline is about smashing square pegs into round holes. Lance still has all his edges. So while his teammates square up for jumpers and his opponents spot up for corner threes, there is Lance high stepping with that dribble and blowing his sweet breath into the face of LeBron James—and you know he probably chewed on some garlic before game time. 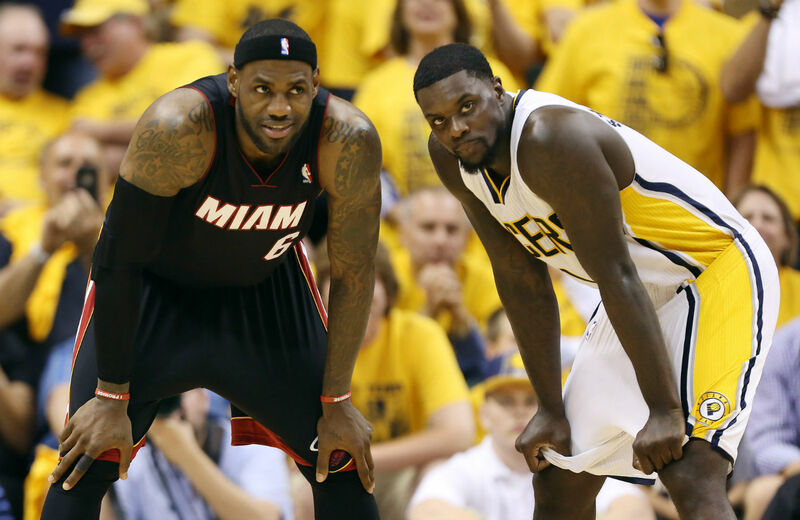 I have little doubt LeBron will make Lance Stephenson pay for his every affront this evening. Getting under the skin of the most physically dominant basketball player on the planet tends to have diminishing returns. But I’m beyond grateful that in an era of carbon copies and Park Slope co-ops, Lance Stephenson can still exist and remind us of what once was. After all, no one is ever going to write a book called Heaven is an AAU Tournament.